Like most small businesses, we depend on our guests to provide feedback so we can be the best we can be and make sure you are satisfied! If you had a great experience, please tell your friends about us! Any questions, comments, concerns, reviews, or other inquiries can be e-mailed directly to salonnaturale@gmail.com. Again, we depend on your feedback to grow and be the best we can be for you! We want you to be 100% satisfied. We know that your hair is important to you and we understand how upsetting it can be if you’re unhappy. We will never get upset or angry with you if you’re unsatisfied with the results. Let us know and we will do what we can to make it right. As stylists, we take the most realistic and healthy approach to achieving your hair goals. If you’re unsatisfied with your hair (within reason), we are happy to make necessary adjustments to your service for you. There are absolutely no refunds. Our goal is to build a long lasting relationship with you. Sometimes there are bumps in the road; however, we would rather learn with you and make adjustments so we can give you the hair you want. Sometimes it takes time, but we are willing to be patient with you if you are willing to be patient and reasonable with us! Your color is valid for a redo up to 7 days after your service(s) was performed. In order to qualify for a redo service you must invest in the recommended shampoo. With the purchase of any color safe shampoo from Salon Naturale, your color service is 100% guaranteed. This does not include shampoos purchased from other retailers or salons. The fee for redo color service is $15 per bowl of color required to make the adjustments. If you are in the middle of a color correction process and there is box color present in your hair, you will not be qualified for a redo service if the desired result is not achieved the one sitting. 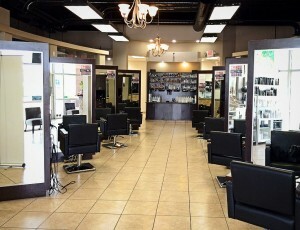 Additional toners, treatments, and other necessary services will be priced (fairly) in each specific case. Our prices are based on length, density, and condition of hair. Each service price is a starting price. Each service comes with X amount of product built into the price; if extra product is needed, there will be additional charges. Each additional ounce of color is $15; each additional scoop of lightener is $15. These fees do not only cover product cost, they cover extra time spent on each service. If you are working with a strict budget please let the stylist know at the beginning of the service so they can accommodate your needs. If you bring in a picture, the stylist will break down the picture into steps so they can achieve a similar look on your hair. If you do not want a step, please be advised that it will likely not come out as close to your goal if you go against your stylist’s recommendation.